Virginia Woolf believed a woman needed “money and a room of her own if she is to write fiction.” While she got the money bit right – one has to eat – I’d give up the room of my own for a cook or someone who’ll take responsibility for changing the empty toilet roll. Woolf’s essay was about a lot more than the literal meaning of this quote. She was examining the position of women in her society and how this affected them as writers. She was concerned about the lack of social and financial freedom women writers had in comparison to their male counterparts. We have come a long way since those days as far as women’s access to education – Woolf could only dream of doing my post-graduate degree – and building a history of women’s writing – the Stella Prize comes to mind. But as I settle down into my time in Menerbes I start to appreciate that maybe one of the freedoms we women writers desperately need is the freedom from being responsible for the minutiae of day-to-day living. Woolfe didn’t say much about that. Maybe her mind was on more worthy things. But she and Leonard had no children and they had a daily housekeeper and cook. I think that might explain why she’s mum on that subject. Which brings me back to my three weeks in France. For the first time in my life I have no demands being made on me. 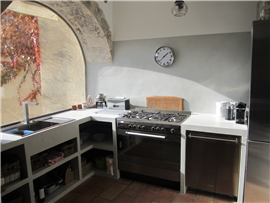 I don’t even cook, although we have an oven here that would comfortably roast a sucking pig. My stomach and I heartily stand by my bracketed inclusion. Travel is one of the few times in our lives women can be legitimately selfish. We are just not physically available for the claims our normal lives would make on us if we were at home. And that includes the things we want to do – help with the care of a dear friend who is recovering from a medical emergency. Or what we feel we should do – fix the leaking tap in the bathroom. Or what we dread doing – critiquing as a favour the 250,000 word vampire novel by your friend’s nephew’s babysitter. I know many women writers who struggle to satisfactorily balance writing time with the curve balls every-day life throws at them. It’s still women who carry the bulk of that day-to-day stuff. In Menerbes the responsibility for a fully-functioning life does not fall on my shoulders. I don’t have to organise anyone or anything, or take the responsibility of making sure things happen when they should. I don’t have to remember the birthday, buy the present, take it to the party so Little Susie can give it to the birthday girl. I’m living the life of one of Woolf’s untouchable male fiction writers, albeit one who is very conscious of the privilege. 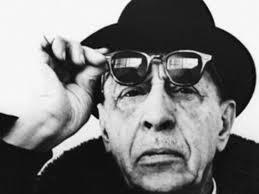 I’m channelling Igor Stravinsky: lunch is when there is a break in my writing, and no one talks to me unless I speak first. What is a room of one’s own compared to splashing around in the pleasure of unfettered selfishness? Well, for another two weeks anyway. This entry was posted in women, Writing and tagged A Room of One's Own, travel, Virginia Woolf, women, writing. Bookmark the permalink. “Splashing around in the pleasure of unfettered selfishness” – love this phrase, Karen. It’s all in a good cause since I believe creativity to be an expression of the spirit and a gift to humanity. Detachment is the key; to know that we would still be happy without our indulgences. 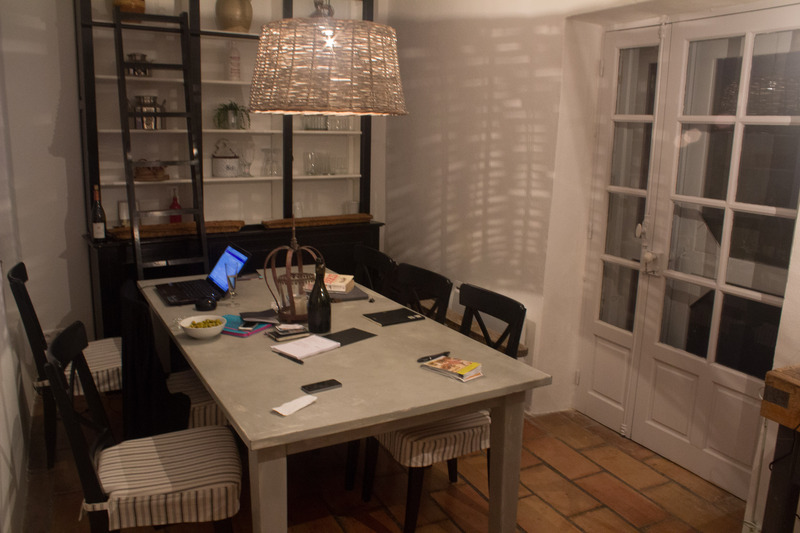 I count myself as fortunate where writing is concerned because I do have a room of my own. But it’s not immune to intrusions. Darn it! I love your belief about creativity, Di. Julia Cameron once wrote about writing being the new religion. Some people were horrified by that but I think she meant that creativity is spiritual. You’re absolutely right about detachment. Our indulgences are not what make us lastingly happy. A room of one’s own isn’t going to either. I suspect some of your intrusions are connected to what will. Karen, your last comment in your reply above is very perceptive and spot on! A very interesting post! I never realised Virginia Woolf had no children. I’m guessing that wasn’t by choice (but could be wrong). I believe that all the best writing comes from struggles and hardship, and I’d love to read more about Woolf’s private life. I too have recently turned our spare bedroom into my own special writing space (and it will stay that way at least until we get through our current struggles and the room becomes what it was destined to be). Virginia Woolf’s personal life is fascinating, Jessie. I have often wondered if she could have achieved the things she did with her writing if she also had children. 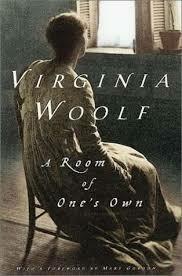 The best biography I’ve read on her is ‘Virginia Woolf’ by Hermione Lee. Enjoy your own special writing place.